1. Namratha walks 14 metres towards west, then turns to her right and walks 14 meters and then turns to her left and walks 10 metres. Again turning to her left she walks 14 metres. What is the shortest distance (in metres) between her starting point and her present position? 2. Savita is the niece of Ashok, whose is mother is Lavanya. Lavanya's mother is Kavita. Kavita's husband is Govardhan. Padma is the mother-in-law of Govardhan. How is Savita related to Govardhan? 3. If TOUR is written in a certain code as 1234, CLEAR as 56784 and SPARE as 90847, what will be the 5th digit for SCULPTURE in the same code ? 1) A @ B means A is neither equal to nor smaller than B. 2) A c B means A is neither greater nor smaller than B. 3) A £ B means A is not equal to B. 4) A ? B means A is neither greater than nor equal to B. 5) A $ B means A is either greater or equal to B. Eight persons P, Q, R, S, T, U, V and W are sitting around a rectangular table in such a way that two persons sit on each of four sides of the table facing the centre. The persons sitting on opposite sides are exactly opposite each other. S faces North and sits exactly opposite W. T is on the immediate left of W and faces the same side. P and V sit on the same side. V is exactly opposite Q, who is on the immediate right of R. P is on the immediate left of S.
6. Who is sitting opposite P ? 7. Who is next to T in clockwise direction ? 8. Which of the following pairs of persons has both the persons sitting on the same side with the first person sitting on the right of the second person ? Directions (9 – 10): Study the following information carefully and answer the questions given below. And Step IV is the last step of the above input. 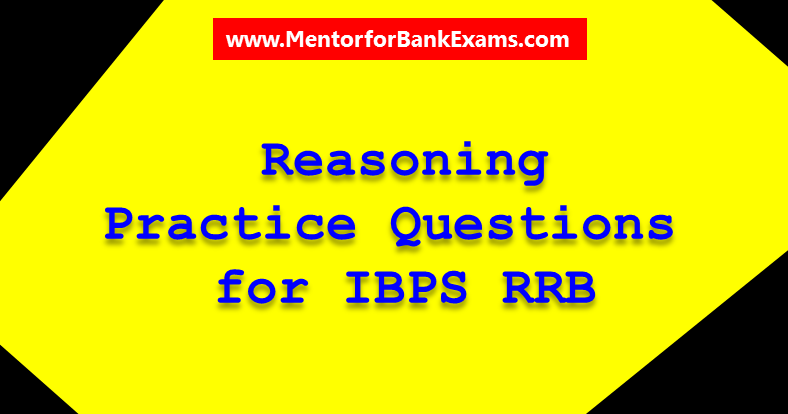 As per the rules followed in the above steps, find out in each of the following questions the appropriate step for the given input. 9. Which element is third to the right of ‘35’ in step III? 10. What is the final step of the given input? As the 5th letter is SCULPTURE is P and '0' is used for P, therefore, 5th digit is the required code which is '0'. (9 – 10): The machine rearranges the words in alphabetical order one by one. The numbers remain tagged with their preceding words.